Mark Farner is the reason. As one of the founding members, lead singer, lead guitarist, and wrote more than 90% of the Grand Funk music catalog, Farner has always been known as the energetic driving force on stage, the engine that pulled the original Grand Funk Railroad to the top of the charts. From his soulful voice and power rock riffs, to fueling the Funk with his atomic stage presence. His story and his imprint on music starts with Flint and since 1969 from his humble beginnings and a blue-collar outlook, Farner has captained a global crusade for love and freedom and became a rock ‘n’ roll icon. 50 years later – he commands the stage with the same intensity performing epic hits that defined a generation – “I’m Your Captain (Closer to Home)”, “Bad Time”, “Some Kind of Wonderful”, “Foot Stompin’ Music”, “Heartbreaker”, “Locomotion”, “Mean Mistreater” and “We’re An American Band”. Today, Farner’s amplifying his remarkable career another full decibel selling more than 30 million records worldwide, including 16 gold and platinum albums. 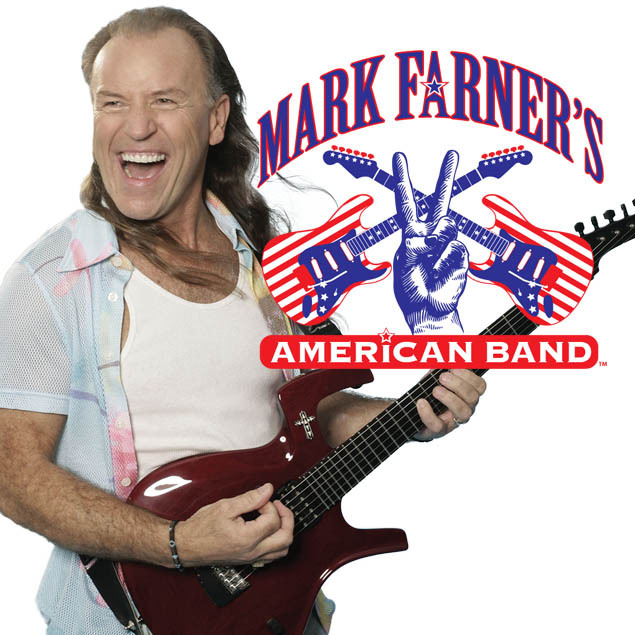 Mark Farner’s American Band will honor Farner’s golden anniversary in music, as well as shine a spotlight on his legendary contributions to society, in his 2019-2020 50th Anniversary Tour.